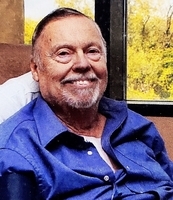 Provide comfort for the family of Edward Pohlman with a meaningful gesture of sympathy. where he earned a Bachelor's degree. also earned the two coveted awards of Able (ATM) and Distinguished (DTM) Toastmaster. Trustees for NAMI (National Alliance for the Mentally Ill) Ohio. a Lector for Scriptural readings for a number of years. Kim; his grandchildren, Taylor (Knapp) and Kaitlin (Pohlman). (Gary) McGee, Jensen Beach, FL. parents, Lowell and Rose Pohlman; sister and brother-in-law, Carol (Pohlman) and Don Campbell. Rd. Whitehouse, OH 43571. Pastor Matthew Lash will preside over the service. Ed was a member having attended since 2013. To send flowers in memory of Edward L Pohlman, please visit our Heartfelt Sympathies Store. Donations are being accepted for: COMMUNITY OF CHRIST LUTHERAN CHURCH. Provide comfort for the family of Edward L Pohlman by sending flowers. In Memory of our Uncle Ed Pohlman with love. Many memories come to mind, my favorite is of him dancing at my wedding. The first thing that comes to mind is him laughing and smiling. Heartfelt Sympathies Store purchased flowers for the family of Edward Pohlman. May the family of Edward L. Pohlman please accept my sincere condolences hoping you find comfort in God's words at Acts 24:15 and Psalm 37:29.